Iran will prosecute five people who allegedly spied for foreign countries, the country’s semi-official FARS news agency reported today. One alleged spy is a 28-year-old who used to work in the aviation and space industries and had “gathered some information,” Dolatabadi told FARS. Another has a master’s degree and was “very familiar with Tehran’s important issues and had gathered some information for foreigners,” he said. The third case involves a 33-year old who also had a master’s degree and had been in touch with “foreign agencies,” received large sums of money in dollars and cash, and had tried to take information out of the country, Dolatabadi said. Another person, who is 42, “had connections with information agencies of an enemy country,” and the fifth had gathered “useful” information about Iran’s defense and financial sectors and given it to “enemies,” Dolatabadi told FARS. Iran recently accused two detained Germans of having links to Iranian exile groups after they were arrested reportedly while trying to interview the son of a woman sentenced to death by stoning for adultery. Then German Chancellor Angela Merkel said her government was seeking their release. Iran also has arrested a top reformist from a banned political party which backed opposition leader Mir Hossein Mousavi in last year’s presidential election, the ISNA news agency reported yesterday. Ali Shakouri-rat, a leader of the Islamic Iran Participation Front, was “arrested yesterday (Tuesday) night for security reasons,” the news agency quoted Tehran prosecutor Jafari Dolatabadi as saying. 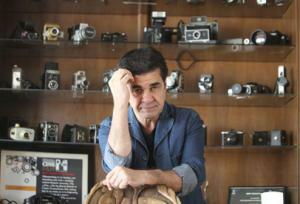 Shakouri-rat is known for his outspoken criticism of President Mahmoud Ahmadinejad’s government. 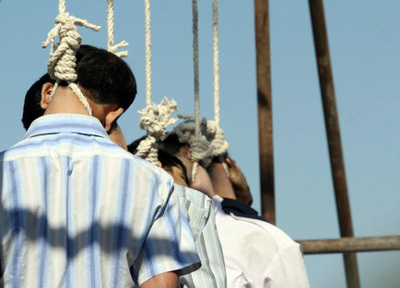 Iranian Islamic regime hangs at least one person or two every day. Iran’s regime labeled them as drug dealers or rapists and murders but who knows if they did something or not. Which place in the world people are dying every day and no one cares. From the establishment of Islamic regime, they tried to stay in power and rule Iran’s people with taking hostages (Mostly foreigners) and intimating their governments not to take any harsh decisions about their policies toward Iran. They’ve played these dirty games to whole world for more than thirty years. I don’t know how many more people have to die or go to prisons until a country decides to confront the brutal regime once for all. I’m sure no true Iranians also will go and fight for the Islamic regime and those which they go also, I think it’s better if they die and go to Hell, other making Iranian people misery more and more. That’s a big mistake to compare today situation with Iran-Iraq war duration, totally dissimilar. 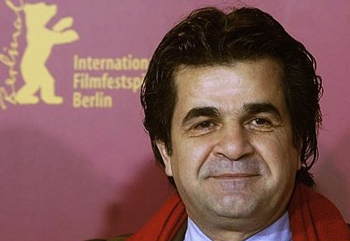 Islamic regime is holding two foreign nationals that they believe posed as journalists, German Chancellor Angela Merkel is working to secure their release. The Guardian is reporting the the two men were German journalists working for the weekly publication “”Bild am Sonntag””.